Many individuals believe when they file their personal Chapter 7 bankruptcy petitions that they are really seeking relief under Chapter 11 bankruptcy. This is because personal Chapter 7 bankruptcies rarely make headlines the way Chapter 11 bankruptcy petitions do. Chapter 11 bankruptcy protection is generally awarded to businesses and corporations attempting debt relief by restructuring the debt load so that the new corporation which emerges is profitable. Chapter 11 in Bankruptcy Code is also used for certain special situations involving individuals as well. Businesses file these Chapter 11 bankruptcy petitions to keep the businesses running. Often times companies go through rough patches where paying their creditors becomes a near impossibility. However, if the company is allowed to restructure its debt into a repayment plan, this may be more beneficial than completely closing its doors and selling off the assets. This is beneficial to the creditors because they have received payments on their debts, and companies that have emerged from the Chapter 11 bankruptcy are now profitable and moving forward in a positive direction. Creditors in Chapter 11 bankruptcy bankruptcy plans will often be given a portion of the company’s ownership as well if the debts cannot be satisfied. This results in a change of ownership for the company, but still enables the employees to continue to work and generate revenue to pay the creditors. 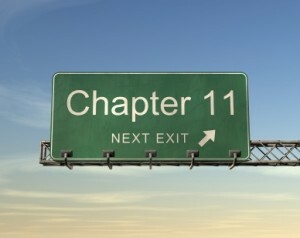 The Chapter 11 bankruptcy plans are far more complex than an individual Chapter 13 bankruptcy plan. A key difference is that creditors in Chapter 11 bankruptcy vote on the approval of the plan. An individual Chapter 13 bankruptcy plan has no such voting requirement. A debtor in a Chapter 13 bankruptcy plan must file the plan of reorganization within 14 days of the original filing of the Chapter 13 bankruptcy petition or risk having the case dismissed. 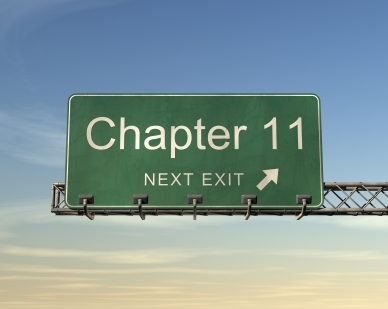 A company in Chapter 11 bankruptcy protection must also provide a Chapter 11 bankruptcy plan of reorganization. If the creditors do not agree and no resolution can be achieved, the creditors in a Chapter 11 bankruptcy may propose a reorganization strategy of their own. Lastly, if now agreement can be met between the company and the creditors, the Bankruptcy Court has the power to convert the Chapter 13 bankruptcy case to one under Chapter 7 bankruptcy, essentially closing the company’s doors for good, or dismiss the case leaving the company at the mercy of its creditors. Clearly, no company goes into business with the intention of filing a bankruptcy somewhere down the line to deal with its creditors. It is equally as unpleasant to deal with the possibility that the owners may lose control of their business. Decisions to file for Chapter 11 bankruptcy protection are difficult ones. That is why the bankruptcy attorneys at A Better Way Bankruptcy may come in handy to clarify some of the issues that are present and help the owners make the difficult choices in order to move the company forward.